The dumplings are made from dehydrated potato flakes and flour granite . 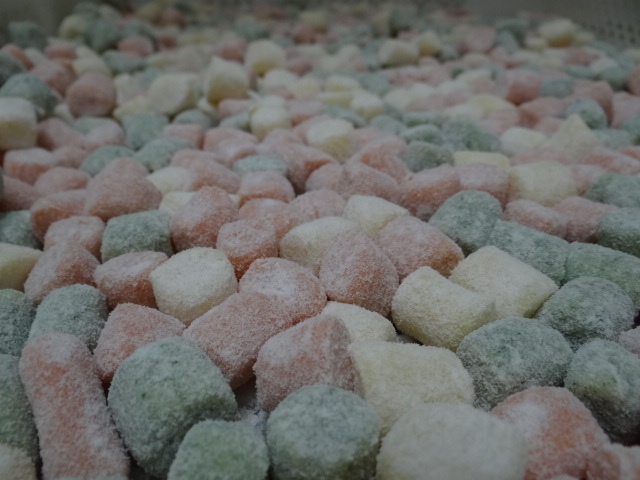 Very appreciated are also gnochetti 3 colors , obtained by mixing all dough tomato and Spinach, and the “drops of pumpkin“, pasta dumplings with filled with pumpkin , finished giving the characteristic shape. 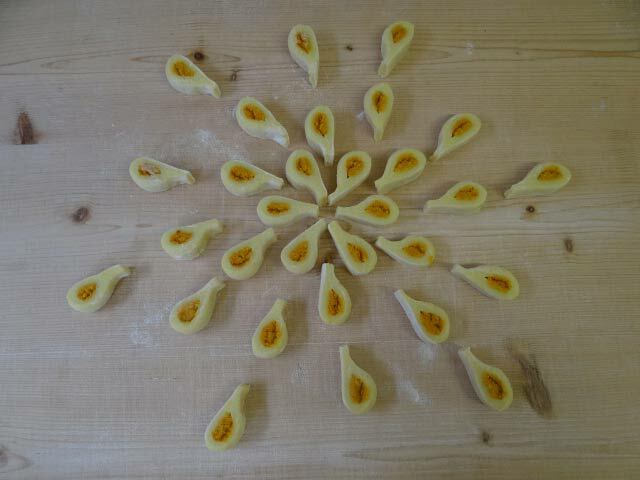 The gnocchi alla romana are made ​​with durum wheat flour, milk, eggs, butter and cheese grana padano ready to fire for them “gratin” after adding a little butter and parmesan cheese .